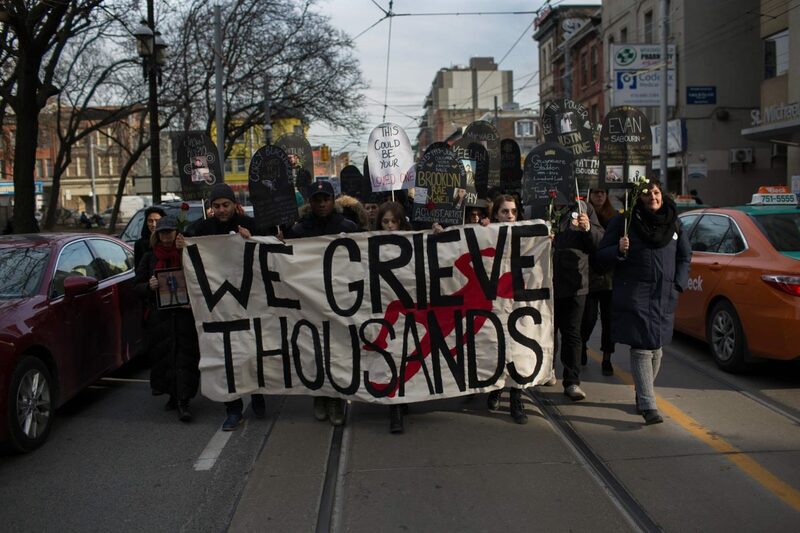 Thursday, February 15 | 6pm-8pm | CRC, 40 Oak St.
Zoe Dodd is a harm-reduction worker and an organizer with the Toronto Overdose Prevention site. Matt Johnson is a long time injection drug user and harm reduction worker. He is one of the organizers of the Overdose Prevention Site in Moss Park and continues to fight for an end to criminalization of people who use drugs. In 2017, an estimated average of 333 people died every month from opioid related overdoses across Canada. In response to government inaction in the face of this lethal crisis, people involved in the Toronto Overdose Prevention Society setup an unsanctioned supervised injection site in Moss Park in August. Now, six months later, they still remain there, having saved hundreds of lives. Their defiant actions brought to into public focus this crisis of drug overdoses, which hits poor and homeless communities particularly hard. They forced the reluctant City administration to fast-track the opening of at-least 3 supervised injection sites. Join us at the February Speakers to learn more about the underlying causes of the opioid crisis, its link to the so-called “war on drugs,” and the measures that still need to be won. Speakers Series: Social Housing – Don’t Board It Up, Build It Up! 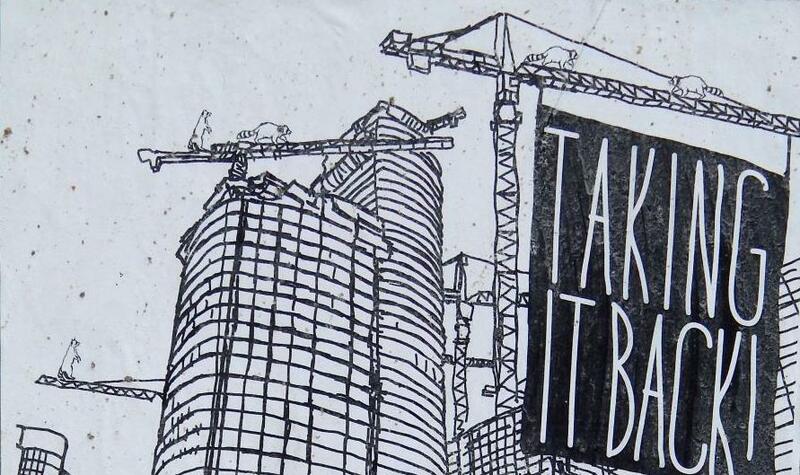 Social Housing: Don’t Board it Up, Build it Up! 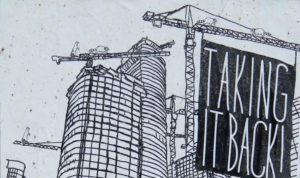 Thursday, November 16 | 6pm-8pm | CRC, 40 Oak St.
Beric is a long-time anti-poverty activist, a member of OCAP and, previously, the Toronto Disaster Relief Committee. Gaetan has been organizing against poverty and homelessness for nearly three decades and is the author of Toronto’s Poor: A Rebellious History. Yogi is an organizer with the Ontario Coalition Against Poverty. 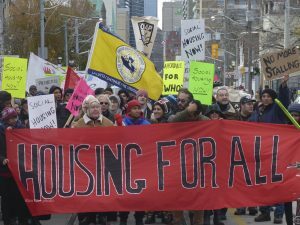 What is the history of public housing in Canada? How has it come under attack? How can we win it back? Join us as we discuss these and other important questions that will help us understand the current housing crisis and talk about the upcoming National Housing Day of Action. October 19: OCAP Speakers Series: Canada 150 – Promise of Reconciliation or Ongoing Colonization? Why are indigenous people disproportionately poor and homeless? What are the frontlines of indigenous struggle today? How do we fight colonialism? Join us as we discuss these and other questions that form the terrain of indigenous struggle for sovereignty and self-determination today. Denise is the IDU Outreach Coordinator for the Ontario Aboriginal HIV/AIDS Strategy. The Oahas IDU program is unique, as it is the only IDU program that is Indigenous based in the entire province. For the past 8 years, she has had the pleasure, along with her peers, of building the program from the ground up. Denise has over 20 years’ experience working within the urban Indigenous and on reserve communities in several capacities. Denise currently resides in the Barrie area, and is a citizen of the Chippewa’s of NawashFirst Nation. Is disability biological, or is it created and reinforced by society? Why are some disabled people considered more deserving than others? Do non-disabled people have a role to play in disabled people’s struggles? Join us as we discuss these and other questions that look at the connections between disability and poverty in our society, and what that means for our struggles. A.J. Withers is a long time disability and anti-poverty organizer with OCAP. They are the author of Disability Politics and Theory, stillmyrevolution.org, and the forthcoming book A Violent History of Benevolence: Interlocking Oppression and the Moral Economies of Social Working (with Chris Chapman).